The Bayer Leverkusen footballer says the match against 1. FC Heidenheim on Tuesday is a very important game for the team. Bayer Leverkusen will play against Heidenheim in the DFB Cup Third Round on Tuesday. 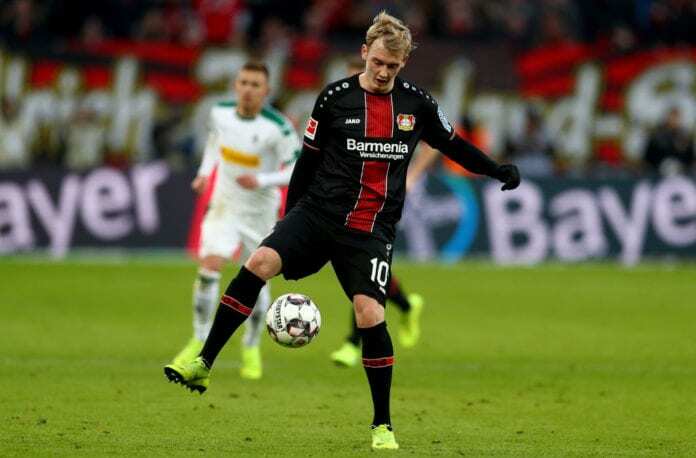 And for Bayer’s attacking midfielder Julian Brandt, this is a big opportunity for his team to get confidence. “We want to go as far as possible. Our season in the Pokal so far this year is going well. The Gladbach game was amazing [Leverkusen won 5-0 away],” he told the country’s football association official website. “We’ll go into the game as focused as we are for every Bundesliga game. We won’t be thinking that we’re already through, just because we’re playing a second division side. However, we’ll go to Heidenheim with a lot of self-confidence,” he explained. The 22-year-old has been with Bayer Leverkusen all his professional career since 2014. He’s a product of the SC Borgfield, FC Oberneuland, and VfL Wolfsburg youth systems. “You always want to do better. The DFB-Pokal is a big opportunity for us. Since 2009, the club has been keen to get as far as it can,” he commented. “I don’t follow the second division extensively, mostly because I don’t really have a connection to it. But I know that Heidenheim is difficult to play against, especially when you play them away,” he explained.